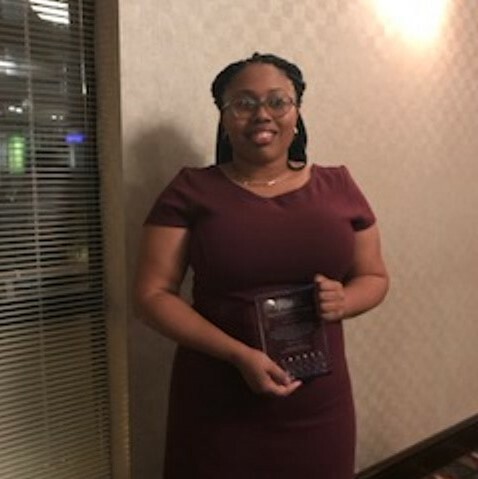 Crystal Brown was awarded the Bruce Robert Jacobs Award by the Illinois Public Defender Association at its October 2017 meeting. The Bruce Robert Jacob award is presented by the IPDA to an Assistant Public Defender or an Assistant Appellate Defender whose efforts embody the core values of the Public Defender Movement in the United States and the State of Illinois. This award recognizes the efforts, whether on a single case or over the course of the previous twelve months, which epitomize the selfless dedication to the constitutional precepts which form the basis of the criminal defense of the indigent accused in Illinois. Crystal is presently assigned to the Felony Trial Division where she represents clients charged with felony cases at the Leighton Criminal Courthouse.